I have a vice. Actually, I have many vices, but I do have one vice when it comes to beverages. I LOVE soda. If it’s carbonated and sweet, then it counts as a good drink to me. My friends have been trying to help me be healthier by cutting back on the sodas, but I was actually able to get them to drink MORE soda when some samples of Jarritos arrived on my doorstep. Even though I’ve seen Jarritos on the store shelves before, I haven’t actually tasted them. Originally started in 1950 by Don Francisco “El Güero” Hill, Jarritos is a popular Mexican soft drink with 11 different flavors, ranging from Fruit Punch (tutifruti) to Guava (guayaba) to Tamarind (tamarindo.) What makes Jarritos so unique, both in Mexico and in the US is that their sodas are made using 100% natural sugar instead of high fructose corn syrup. There are a couple of things that really impressed me about Jarritos. You don’t realize it until you experience it, but there are different types of carbonation in sodas – at least I think they are. Traditional sodas have big bubbles that bubble up through the drink and make you burp a lot…loudly. Jarritos is also carbonated, yet it seems like the bubbles might be smaller. There’s an pleasant bubbly carbonation feel to it, but there isn’t the burning sensation that other sodas have. I was also completely amazed that days after being opened, the bottles of Jarritos were STILL carbonated. I also enjoyed the exotic flavors of the drinks. I appreciated that they weren’t overly sweet and didn’t taste too artificial or syrupy. That was true for all testers and for every drink we tasted – great flavor without too much sweetness. Fruit Punch – This is not as sweet as, say, Hi-C’s fruit punch. It resembles the flavor of Jelly Belly’s Tutti Fruiti jelly bean with a very subtle fruit flavor. Strawberry – Fortunately, this didn’t taste like completly artificial strawberry to me. It had a great berry flavor. Pineapple – This reminded the tester of pineapple flavored Sprite, with the pineapple flavor being the stronger flavor. Mango – This one had a very mild and very appealing mango flavor. Mandarin – Probably my favorite orange-flavored soda ever. Lima-Limon – This is probably the Jarritos version of Sprite, only again, it tastes better because it wasn’t too sweet. There was more of a lime flavor than a lemon one. Guava – Wow. My first ever guava soda and it definitely tasted like guava and was very exotic. I pictured drinking that on the beach in Mexico to help cool off. Tamarind – I’ve never had Tamarind before and I’m not sure what it’s supposed to taste like. I thought it tasted a little bit like carbonated iced tea. Of the flavors I tasted, I Mandarin and Lima Limon were my two favorites. But I really enjoyed all of them. It plays with your mind a little bit because they are sodas, but it’s like they are a milder, more adult version of sodas. Plus, there’s something super cool about popping the cap and drinking soda from a bottle. I think the truest testimony to Jarritos is from one of the testers who doesn’t even like soda. I’ve only seen him drink carbonated beverages a handful of times in the years that I’ve known him. After tasting Jarritos the first night, he drank another Jarritos (unprompted!) each subsequent visit to the house. He declared that he could actually picture himself buying Jarritos, which is actually quite a big deal for a non-soda drinker. Like the Jarritos Facebook Page to learn more about Jarritos and to stay up-to-date with their latest news. 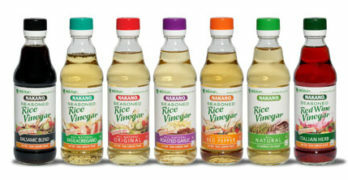 They are also currently running a contest on www.JarritosNation.com. Simply join Jarritos Nation and upload and share photos for your chance to win part of $10,000 in prizes – from packages of Jarritos to digital cameras or 12 day cruise to Hawaii! The WiC Project Jarritos Giveaway! 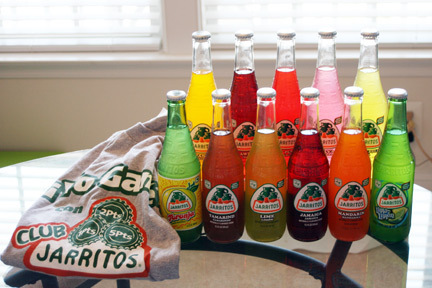 5 winners will receive an 11 flavor case of Jarritos plus a club Jarritos T-shirt! Visit www.Jarritos.com and comment below with which flavor of Jarritos you would like to try. For a bonus entry, Like the Jarritos Facebook Page and comment here if you did. Feel free to leave a note on their wall telling them The WiC Project sent you! Giveaway ends at 11:59 PM EST, July 16, 2010. Disclaimer: This post consists of my (and/or fellow tester) opinions only. No compensation was given for this review/giveaway. I did receive a free Jarritos sampler pack from the manufacturer or representing PR agency to use and test for the purposes of this review. This did not affect the outcome of this review. I would like to try the Jarritos Mango flavor. I would like to try the Fruit Punch! I would love to try the Mandarin! Carol P Dziuba Like the Jarritos Facebook Page Left a note on their wall telling them The WiC Project sent me! I've tried them and my favorite is Toronja (Grapefruit). I would like to try the guava flavor. I would love to try the Guava flavor! I would like to try the Mandarin flavor. Sounds delicious! I'd like to try the Tamarind. I think I would love the Lima-Lemon a lot. It sounds great. I'd like to try pineapple! I want to try the fruit punch. I think Toronja looks like grapefruit. Whatever it is, I'd try that one first out of curiosity. I've never tried any of them before. mandaring sounds good! I'd like to try Mango and the Tamarind. like Jarritos on facebook and wrote on their wall. I am sure that I would get pineapple at the very least, but I'd like to try most of the flavors including the more exotic flavors. Pineapple sounds good to me. The Fruit Punch flavor sounds yummy. Thanks. ummmm mango sounds good. i love the tamarind. jarritos is so good. I would love to try TAMARIND!! Mango and Lime is what my girls and I usually get at our favorite local Mexican restaurant!! YUMMY!! Guava sounds best for me. Yummy. My son gets this everytime we go to ur favorite Mexican restaurant…his favorite is Mango. I'd like to try the Pineaple. i would like to try the flavor made by jarritos called Jamaica! yumm! I would love to try the Mandarin flavor..I love orange soda!! Thank you. I would love to try the Lima Limon! Sounds so good!! I've actually had the Mandarin many times at my fav restaurant, so that's the one I'd pick! I really like Mandarin so I would like to try Pineapple! I liked them on facebook! Thanks! I'd love to try this flavor – Strawberry! I love Lima-Limon. It's my favorite!! I've actually had the pineapple and mandarin before, so I'd like to try the mango. I'd love to try the Mango flavor. Oh, I would love to try the pineapple flavor! I would love to try the strawberry, followed closely by the pineapple! I would love to try the strawberry flavor, thanks! I would love to try the Strawberry and Mandarin flavors. I am a fan of Jarritos via Facebook as Jill Myrick. I'd like to try Toronja. My kids like the Fruit Punch but the Pineapple is my favorite. I like Jarritos on FB. I'd like to try the mandarin after your glowing report on it. I would like to try the Jamaica flavor. I would love to try the Mango flavor. This is one of my most favorite fruits. I like the guava flavor. Thanks. Like Jarritos on facebook. Told them WiC Project sent me. I use to drink strawberry when I was a kid. Guava sounds like a winner! I love Jarritos! My favorites are strawberry and Tamarind. I haven't tried Lima-Limon yet. I would love to try the mandarin. I would love to try the Guava, I've never had that flavor before! All of them but I'll go with pineapple. So many choices. so little time. Toronja!!! Toronja!!! Toroooooooooooooooooooonja! Bueno! Gracias! And I did just LIKE the Jaritos fb page. Gracias tambien! I'd like to try the Fruit Punch. Fruit punch flavor would be great! I would love to try Pineapple and Mango. I would love to try the Lime flavor Jarritos. I Like the Jarritos Facebook Page and said the WiC Project sent me. Tamarind sounds tasty and different. I liked the Jarritos FB page (Lisa.J.Healy). Yum! I wanna try the Guava. Guava would be my flavor of choice! It is my favorite juice! I “liked” them on facebook and let them know. Thanx. I want to try Mandarin. I would love to try the Mango and Pineapple flavors! I checked out Jarritos and I would most like to try the Lime, it's my fave flavor ever! I like Jarritos on facebook and I left a note on their wall that you sent me! I'd love to try the strawberry flavor. I liked them on facebook and commented.